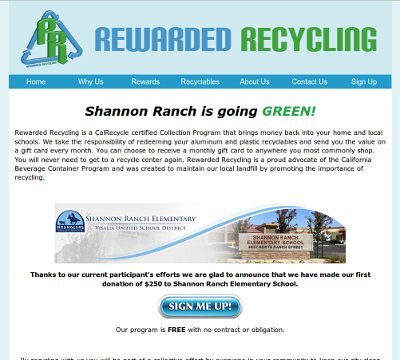 Manny, a customer that contacted BsnTech Networks a few years back for some help, has returned to us requesting some help with a new venture that he started – Rewarded Recycling. This is a recycling business in Visalia, CA that rewards their customers with gift cards for providing recyclable materials. Manny already had created the website, but wanted us to create a couple of forms on the website and also wanted us to take over the web hosting for it. Upon getting the specifications from him, we quickly worked to create the form on the Contact Us page and the form on the Sign Up page. We appreciate the additional opportunity from Manny with his additional business endeavour! Manny’s website is at rewardedrecycling.com.